We are learning about animals in Science this week. The test will be the week of September 25. They need to know vocabulary words as well as the key concepts of the chapter. ​Multiplication test is Friday. They need to know the 3's. 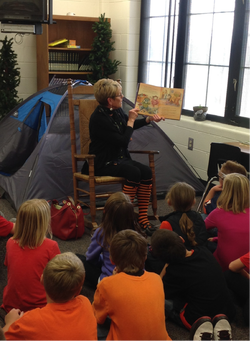 Kyler's grandma, Mrs. Alger, read a Halloween story today. Victoria Goad from the Farm Bureau brought a pumpkin activity to us. 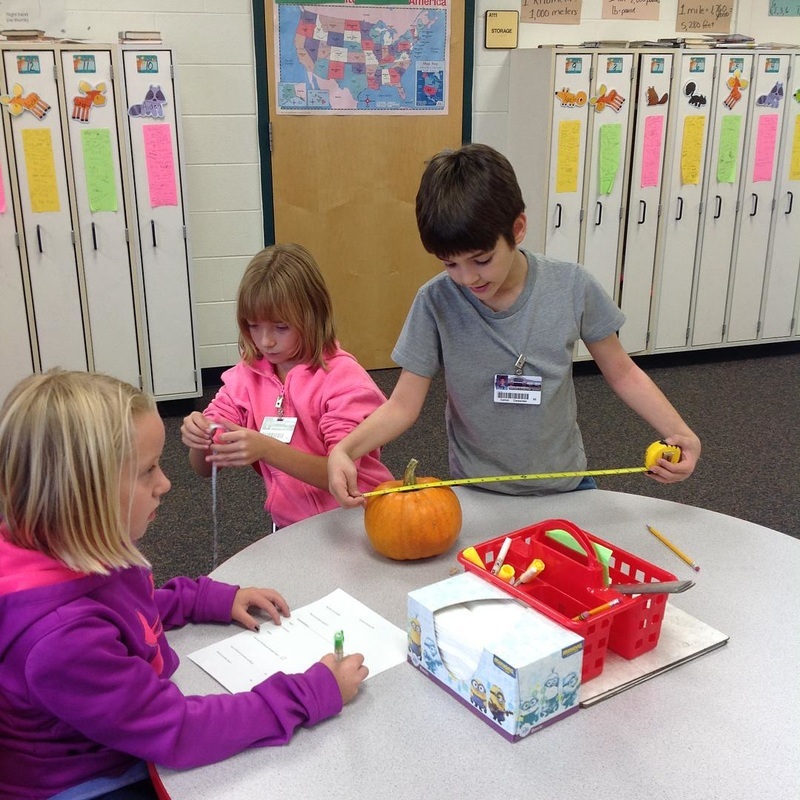 She let us find the weight, circumference, and height of the pumpkins. We also put the pumpkins in water to see if they would float. We learned fire safety from the local firefighters. The kids were allowed to spray a water hose at a model of a house. They each had to put out the "fires" that were in the house. They also showed us the Jaws of Life. To celebrate the end of the first quarter, we did fun science experiments. One of them was an exothermic experiment we did with yeast, dishwashing liquid and hydrogen peroxide. It was called Elephant Toothpaste and it was a lot of fun!